protocols approved by the National Ethical Committee. The use of human tissues for this study was approved by the local hospital ethics committee and the French Ministry of Higher Education and Research (DC-2008-242). Mucins from HT29-MTX were obtained by collecting the culture medium of cells after 21 days of growth. HT29-MTX were maintained in standard Dulbecco’s modified Eagle’s minimal essential medium supplemented with 10% (v/v) heat-in-activated foetal calf serum, 2 mM L-glutamine, 100 unit/mL penicillin and 100 unit/mL streptomycin at 37 ◦ C in 5% CO2 . Mucins were solubilized in 4 M guanidine chloride solution containing 5 mM ethylenediaminetetraacetic acid, 10 mM benzamidine, 5 mM N-ethylmaleimide, 0.1 mg/mL soy bean trypsin inhibitor and 1 mM phenylmethanesulfonyl fluoride. CsCl was added to an initial density of 1.4 g/mL and mucins were purified by isopycnic density-gradient centrifugation (Beckman Coulter LE80 K ultracentrifuge; 70.1 Ti rotor, 417,600 g at 15 ◦ C for 72 h). Fractions of 1 mL were collected from the bottom of the tube and analyzed for periodic acid-Schiff (PAS) reactivity and density. The mucin-containing fractions were pooled, dialyzed against water and lyophilized. Pig gastric mucin type III (PGM) was supplied by Sigma-Aldrich. 2.3. Release of Oligosaccharides from Mucin by Alkaline Borohydride Treatment Mucins were submitted to β-elimination under reductive conditions (0.1 M KOH, 1 M KBH4 for 24 h at 45 ◦ C) and the mixture of oligosaccharide alditols was dried on a rotavapor (Buchi, Flawil, Swisserland) at 45 ◦ C. Borate salts were eliminated by several co-evaporations with methanol before purification by cation exchange chromatography (Dowex 50 × 2, 200–400 mesh, H + form). 2.4. Permethylation and Mucin Glycosylation Analysis by MALDI TOF MS Permethylation of the mixture of oligosaccharide alditols was carried out with the sodium hydroxide procedure described by Ciucanu and Kerek . Briefly, oligosaccharides were incubated for 2 h at room temperature in 200 µL of dimethylsulfoxide, a spatula tip of sodium hydroxide and 300 µL of iodomethane. After derivatization, the reaction products were dissolved in 1 mL of acetic acid solution (5%, v/v) and further purified on a C18 Sep-Pak column (Oasis HLB, Waters, Milford, MA, USA). The cartridge was preconditioned with 3 mL of methanol. After washing the cartridge with 4 mL of 5% methanol, glycans were eluted in 4 mL of methanol. Permethylated oligosaccharides were analyzed by MALDI TOF MS in positive ion reflective mode as [M+Na]+ . Quantification through the relative percentage of each oligosaccharide was calculated based on the integration of peaks on MS spectra. 2.5. 1-D Bacterial Overlay The 1-D bacterial overlay procedure was adapted from Odenbreit et al. . In brief, purified mucins (1µg/µL in PBS or 4 M guanidine chloride in PBS) were spotted on dry nitrocellulose membranes using a Bio-Dot SF (Biorad Hercules, CA, USA) which were saturated with PFBB (Protein Free Blocking Buffer) (Thermo-Scientific, Waltham, MA, USA) for 1 h. Bovine serumalbumin at 1 µg/µL was used as a negative control. Bacteria were labeled either with 2.5 µg/mL DAPI or 50 µM syto9 in PBS for 15 min or with FITC at 0.1 mg/mL (for Gram− bacteria) or 0.2 mg/mL (Gram+ bacteria) in carbonate buffer (NaCl 0.15 M, NaHCO3 0.1 M) for 1 h. Labeled bacteria were collected by centrifugation at 3000× g for 5 min, washed three times in PBS, suspended in 1 mL of blocking buffer and added to the membrane in blocking buffer. In the case of FITC, an additional step, involving 2 h of incubation in blocking solution before the final three washes, was included to reduce the background signal. After incubation for 1 h at room temperature in the dark, followed by three washes of membranes in PBS containing 0.5% Tween 20, the fluorescence of adherent bacteria was detected by a ChemiGenius 2 imaging system (Syngene, Frederick, MD, USA). Mucins were chemically desialylated for 1 h at 80 ◦ C in a 0.05 M trifluoroacetic acid (TFA) solution. 2.6. Statistical Analysis 2.6. Statistical Analysis Data are reported as means ± SDs of at least 3 replicates. Student’s t-test was used for Data are reported as means ± SDs of at least 3 replicates. Student’s t-test was used for statistical statistical analysis. analysis. 3. Results 3. Results 3.1. Development of a New Assay to Evaluate the Adhesion of Microorganisms on Mucins 3.1. Development of a New Assay to Evaluate the Adhesion of Microorganisms on Mucins Teams working on microorganism adhesion to mucins mainly use 96-welled plates coated with on microorganism adhesion to mucins mainly plates with mucins.Teams Theseworking assays usually require high amounts of mucins anduse are96-welled not suitable forcoated bacteria like mucins. These assays usually require high amounts of mucins and are suitable for bacteria like Pseudomonas aeruginosa which have a tendency to adhere to plastic. To not circumvent these limitations, Pseudomonas aeruginosa which havenitrocellulose a tendency to membrane adhere to plastic. To circumvent these limitations, a new assay was developed using as a support. Mucins were spotted on a new assay was developed using nitrocellulose membrane as a support. Mucins were spotted on a a nitrocellulose membrane that was further blocked with a saturating agent to avoid the unspecific nitrocellulose membrane that was further blocked with a saturating agent to avoid the unspecific binding of microorganisms. Several blocking reagents were tested in this study—5% milk powder in binding of microorganisms. Several blocking reagents were tested in this study—5% milk powder in PBS, 0.5% BSA in PBS and PFBB (Pierce protein free blocking buffer) with which the best signal/noise PBS, 0.5% BSA in PBS and PFBB (Pierce protein free blocking buffer) with which the best ratio was obtained. Bacteria were labelled with fluorescent dyes before incubation on the membrane. signal/noise ratio was obtained. Bacteria were labelled with fluorescent dyes before incubation on DAPI was preferred to FITC and syto9, which, respectively need long labelling times and are associated the membrane. DAPI was preferred to FITC and syto9, which, respectively need long labelling times with fast loss of the fluorescent, as already mentioned by Stiefel et al. . DAPI was therefore chosen and are associated with fast loss of the fluorescent, as already mentioned by Stiefel et al. . DAPI forwas further experiments. Thefurther resultsexperiments. obtained with L. paracasei are shown inL. Figure 1. Clear differences therefore chosen for The results obtained with paracasei are shown in in fluorescence candifferences be observed oncan thebe mucin coated, with mucins from the colon indicating Figure 1. Clear in depending fluorescence observed depending on the mucin coated, with much higher mucins fromhigher otheradhesion sources. than No signal with the mucins fromadhesion the colonthan indicating much mucinswas fromdetected other sources. No negative signal control, bovine with serum was detected thealbumin negative(BSA). control, bovine serum albumin (BSA). Figure 1. Adhesion of DAPI-labeled L. paracasei on mucins. Purified mucins were spotted on Figure 1. Adhesion of DAPI-labeled L. paracasei on mucins. Purified mucins were spotted on nitrocellulose membrane before incubation with DAPI-labeled bacteria. Fluorescence signaling was nitrocellulose membrane before incubation with DAPI-labeled bacteria. Fluorescence signaling was detected using the Chemigenius2 Bio-imaging system before quantification with GeneTools detected using the Chemigenius2 Bio-imaging system before quantification with GeneTools software. software. Spotted samples were BSA (1); pig gastric mucin (2); and human mucins purified from Spotted samples were BSA (1); pig gastric mucin (2); and human mucins purified from ileum (3); ileum (3); jejunum (4); colon (5); stomach (7) and ovarian cysts (8). After chemical removal of sialic jejunum (4); colon (5); stomach (7) and ovarian cysts (8). After chemical removal of sialic acids, mucins acids, mucins from human colon and ovarian cysts were spotted respectively at positions (6) and (9). from human colon and ovarian cysts were spotted respectively at positions (6) and (9). To establish the optimal conditions required to obtain a strong signal without using excessive To establish the optimal required to jejunums, obtain a strong without using excessive amounts of purified mucins,conditions mucins from human ileumssignal and colons were spotted at quantities rangingmucins, from 1 mucins µg to 20from µg and the jejunums, signal obtained DAPI labelled E. coliatK12 was amounts of purified human ileumswith and colons were spotted quantities quantified. shown 2, signal above 2obtained µg of coated the signal proportionally increasedAs ranging from As 1 µg to 20 in µgFigure and the with mucins, DAPI labelled E. coli K12 was quantified. with in theFigure amount mucin spotted on the membrane until approximately µg of mucins. Theamount level shown 2, of above 2 µg of coated mucins, the signal proportionally10increased with the of fluorescence only slightly increased between 10 µg and 20 µg, suggesting that it is not necessary of mucin spotted on the membrane until approximately 10 µg of mucins. The level of fluorescence to only increase the amount of mucin on the membrane thisnecessary range, astothe gain ofthe signal will of slightly increased between 10 µg spotted and 20 µg, suggesting thatabove it is not increase amount then spotted be negligible. the following mucins were systematically at a quantity mucin on theFor membrane aboveexperiments, this range, as the gain of signal will thenspotted be negligible. For the of 20 µg. following experiments, mucins were systematically spotted at a quantity of 20 µg. 3.2. Adhesion of Microorganisms on Commercially Available Pig Gastric Mucins (PGM) or Mucins from 3.2. Adhesion of Microorganisms on Commercially Available Pig Gastric Mucins (PGM) or Mucins from Adhesion of Microorganisms on Commercially Commercially Available Pig Pig Gastric Gastric Mucins Mucins (PGM) or Mucins from 3.2. HT29-MTX Cell Lines Does Not Reflect Adhesion Available on Human Intestinal Mucins (PGM) or Mucins from HT29‐MTX Cell Lines Does Not Reflect Adhesion on Human Intestinal Mucins HT29-MTX Cell Cell Lines Lines Does Does Not Not Reflect Reflect Adhesion Adhesion on on Human Human Intestinal Intestinal Mucins Mucins Most assays developed to evaluate the capacity of adhesion of bacteria or yeasts on mucins use Most assays developed to evaluate the capacity of adhesion of bacteria or yeasts on mucins use Most developed to evaluate thegranted capacity of the adhesion of bacteria or yeasts onreflect mucins PGM as assays the standard material, taking for that adhesion on this material will theuse PGM as the standard material, taking for granted that the adhesion on this material will reflect the PGM as the standard material, taking for granted that the adhesion on this material will reflect overall affinity of the microorganisms for mucins. As seen in Figure 1, the results obtained withthe overall affinity of the microorganisms for mucins. As seen in Figure Figure 1, results the results obtained with overall ofof the microorganisms forfor mucins. As As seen in Figure 1, the obtained with PGM affinity the microorganisms mucins. seen in 1, the results obtained with PGMaffinity are poorly informative. Even though a signal is detectable with PGM for all tested bacteria PGM are poorly informative. Even though signal is control, detectable with PGM for binding all tested bacteria are poorly informative. Even a signal detectable with PGM forPGM all tested bacteria while no PGM are Even though is detectable for all tested bacteria while nopoorly signalinformative. is seen withthough BSA used as aa issignal negative thewith difference of between while no signal is seen with BSA used as a negative control, the difference of binding between signal is seen with BSA used as a negative control, the difference of binding between bacteria described while no signal is seen with BSA used as a negative control, the difference of binding between bacteria described as only transiently passing through the gastrointestinal tract (L. casei Shirota) and bacteria described as only transiently passing through the gastrointestinal tract (L. casei Shirota) and as only transiently passing through the gastrointestinal tract (L. caseilow. Shirota) and(L.bacteria known to bacteria described only transiently passing through the gastrointestinal tract casei Shirota) and bacteria known toas colonize mucus (the commensal E. coli K12) is very Mucus and from the HT29-MTX epithelial cell lines are also bacteria known to colonize mucus (the commensal E. coli K12) is very low. colonize mucus (the commensal E. mucus-secreting coli K12) is very low. bacteria known to mucins colonize mucus (the commensal E. coli K12) intestinal is very low. widely used investigate of microorganisms. this study, we firstcell compared Mucus and mucins from the mucus‐secreting HT29‐MTX intestinal epithelial cell lines are also Mucus andtomucins fromthe theadhesion mucus-secreting HT29-MTXInintestinal epithelial lines arethe also binding of bacteria or yeasts on PGM, HT29-MTX and purified human intestinal mucins. As seen in widely used used to to investigate investigate the the adhesion adhesion of of microorganisms. microorganisms. In In this study, we we first first compared compared the the widely In this this study, investigate adhesion of microorganisms. Figureof 3, bacteria the level or of yeasts adhesion with human intestinal was considerably higher than in binding of bacteria or yeasts on PGM, HT29‐MTX and purified human intestinal mucins. As seen in binding onobtained PGM, HT29-MTX and purifiedmucins human intestinal mucins. As seen human intestinal mucins. with 3, PGM or HT29-MTX. Given the reported differences in binding, vary depending on the Figure 3, the level of adhesion obtained with human intestinal mucins was considerably higher than Figure the level of adhesion obtained with human intestinal mucinswhich was considerably higher than origin and site of the mucin utilized for binding assays, care should be taken in the interpretation with PGM or HT29‐MTX. Given the reported differences in binding, which vary depending on the with PGM or HT29-MTX. HT29-MTX. Given the reported differences in binding, binding, which vary depending onofthe the data PGM utilized or HT29-MTX as a unique of mucin assay binding to of origin and site of the mucin utilized for binding assays, care should be taken in the interpretation of origin and when site ofusing the mucin for binding assays,source care should be to taken inbacteria the interpretation intestinal mucin. For example, no real difference in the level of adhesion with PGM or HT29-MTX is the data when using PGM or HT29‐MTX as a unique source of mucin to assay bacteria binding to the data when using PGM or HT29-MTX as a unique source of mucin to assay bacteria binding to detected between L. casei shirota and Y. enterocolitica when the latest clearly binds to intestinal intestinal mucin. For example, no real difference in the level of adhesion with PGM or HT29‐MTX is intestinal mucin. For example, no real difference in the level of adhesion with PGM or HT29-MTX is mucins contrary to the first. detected between between L.L. L. casei shirota and Y. enterocolitica enterocolitica when the latest latest clearly binds to intestinal intestinal detected casei shirota andand Y. enterocolitica whenwhen the latest clearlyclearly binds to intestinal mucins between casei shirota Y. the binds to As shown in Figure 3, the microorganisms used in this study displayed different patterns of mucins contrary to the first. contrary to the first. mucins contrary to the first. binding to human intestinal mucins. The three pathogens, S. enterica, S. sonnei and Y. enterocolitica, As shown shown in in Figure Figure 3, 3, the the microorganisms microorganisms used used in in this this study study displayed displayed different different patterns patterns of of As presented a high capacity for adhesion to colonic mucins. The two strains of E. coli, the commensal E. binding to human intestinal mucins. The three pathogens, S. enterica, S. sonnei and Y. enterocolitica, binding to human intestinal mucins. The The three pathogens, pathogens, S. enterica, enterica, S. S. sonnei sonnei and and Y. enterocolitica, presented a high capacity for adhesion to colonic mucins. The two strains of E. coli, the commensal E. presented a high capacity for adhesion to colonic mucins. The two strains of E. coli, the commensal E.
presented a high capacity for adhesion to colonic mucins. The two strains of E. coli, the commensal E. coli K12 and the probiotic E. coli Nissle 1917, also showed a high rate of binding to human intestinal coli K12 and the probiotic E. coli Nissle 1917, also showed a high rate of binding to human intestinal mucins. tested, only onlyL.L.casei caseiShirota Shirotaexhibited exhibitednonosignificant significant mucins.Among Amongthe theother other probiotic probiotic bacteria bacteria tested, adhesion to intestinal mucins. L. rhamnosus showed moderate binding, whereas all other bacteria and adhesion to intestinal mucins. L. rhamnosus showed moderate binding, whereas all other bacteria yeast (S. cerevisiae) displayed strong binding capacities. and yeast (S. cerevisiae) displayed strong binding capacities. Figure 3. 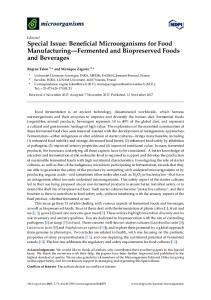 The adhesion of various probiotic and pathogenic microorganisms on commercially Figure 3. The adhesion of various probiotic and pathogenic microorganisms on commercially available available pig gastric mucins or mucins from HT29-MTX cell lines does not reflect the adhesion on pig gastric mucins or mucins from HT29-MTX cell lines does not reflect the adhesion on human intestinal human intestinal mucins. The binding of DAPI-labeled microorganisms to pig gastric mucins (dark mucins. The binding of DAPI-labeled microorganisms to pig gastric mucins (dark grey), human purified grey), human purified colonic mucins (light grey) and mucins from HT29-MTX (striped) was colonic mucins (light grey) and mucins from HT29-MTX (striped) was quantified by slot-blot overlay quantified by slot-blot overlay assays. No correlation was observed between the level of adhesion of assays. No correlation was observed between the level of adhesion of microorganisms to colonic mucins microorganisms to colonic mucins and to HT29-MTX or PGM. Data shown is a representative and to HT29-MTX or PGM. Data shown is a representative experiment ± SD of three replicates. experiment ± SD of three replicates. Figure MSspectra spectraofofpermethylated permethylated O-glycans O-glycans isolated from HT29-MTX (A);(A); Figure 4. 4. MS isolatedfrom frommucins mucinspurified purified from HT29-MTX from pig gastric mucins (B) and from human colonic mucins (C). Mucin O-glycans were released from pig gastric mucins (B) and from human colonic mucins (C). Mucin O-glycans were released from the from backbone the proteinand backbone and permethylated before by MALDI-TOF mass spectrometry in protein permethylated before analysis byanalysis MALDI-TOF mass spectrometry in the positive +. Monosaccharide symbols are used according to the Consortium for the positive ion mode [M+Na] + ion mode [M+Na] . Monosaccharide symbols are used according to the Consortium for Functional Functional Glycomics (CFG) nomenclature. Key: fucose (red triangle), GlcNAc (blue square), sialic Glycomics (CFG) nomenclature. Key: fucose (red triangle), GlcNAc (blue square), sialic acid (purple acid (purple diamond), galactose (yellow circle), GalNAc-ol (yellow square) and sulfate residue (S). diamond), galactose (yellow circle), GalNAc-ol (yellow square) and sulfate residue (S). Note that for Note that for simplified comprehension, only the structure corresponding to the major isomer was simplified comprehension, only the structure corresponding to the major isomer was drawn on the MS drawn on the MS spectrum of PGM. Other isomers with the same monosaccharide composition spectrum of PGM. Other isomers with the same monosaccharide composition might be present. might be present. Lewis antigens, as well as more specific antigens like Sda/Cad determinants (GalNAcβ1-4(NeuAcα2-3)Galβ1-), for mucin example, the ion carry at m/zblood 1385.group and Lewis antigens, as well core 2 structures. Numerous intestinal O-glycans as more specific antigens like Sda/Cad determinants (GalNAcβ1-4(NeuAcα2-3)Galβ1-), for example, 3.3. of 1385. Sialic Acid Residues and/or Core Structure on Bacterial and Yeast Adhesion to Human the Influence ion at m/z Mucins 3.3. Influence of Sialic Acid Residues and/or Core Structure on Bacterial and Yeast Adhesion to Human Mucins To determine if sialylation could be a key factor in the binding of microorganisms to mucins, we determinedesialylated if sialylationhuman could beintestinal a key factor in theand binding of microorganisms mucins, we next To chemically mucins compared the level oftoadhesion of next chemically desialylated human and intestinal mucins and compared the(Figure level of5A). adhesion of bacteria bacteria and yeast to native mucins their desialylated counterparts The removal of and yeast native mucins their desialylated 5A). ranging The removal sialicfor acids sialic acidsto resulteds in a and dramatic decrease incounterparts the level of(Figure adhesion, fromof47% L. resulteds inand a dramatic the level ofcerevisiae adhesion,toranging fromfor 47% L. rhamnosus and rhamnosus 89% for decrease the testedinstrain of S. up to 96% L. for paracasei and 97% for89% Y. for the testedFor strain cerevisiae to up to 96% for paracasei and 97% for Y. enterocolitica. all the enterocolitica. all of theS.microorganisms tested, theL.level of binding to desialylated humanFor intestinal microorganisms tested, the level of binding to desialylated human intestinal mucins was near the same mucins was near the same as that of native PGM. as that nativeintestinal PGM. mucins, sialic acids are mainly α2-6 linked to the first GalNAc, which is also In of human In human intestinal sialiclinked acids are mainly α2-63 linked the first GalNAc, which is also substituted by a GlcNAc mucins, residue β1,3 to form a core glycan.toTo determine whether only the substituted by a GlcNAc residue β1,3 linked to form a core 3 glycan. To determine whether only the sialic acid residues are important for the binding of microorganisms or if the core structure can play residues are important for the binding of microorganisms if the corehuman structure can play asialic role acid in the recognition, we next evaluated the binding of bacteria toormalignant ovarian cysta role in the recognition, we next evaluated the binding of bacteria to malignant human ovarian mucins. As shown in Figure 6A, ovarian cyst mucin O-glycans exhibited a high proportioncyst of mucins. Asglycans shown (more in Figure 6A, ovarian mucin O-glycans exhibited a high in proportion of intestinal sialylated sialylated than 50% of allcyst the O-glycans identified). 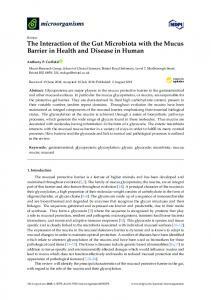 However, contrast to glycansoligosaccharides, (more than 50% of all the O-glycans identified). in contrast to intestinal mucin mucin sialylated glycans from ovarianHowever, cysts were mainly based on a core 1 oligosaccharides, sialylated glycans from ovarian cysts were mainly based on a core 1 structure, with structure, with a small proportion of sialylated core 2 glycans. As depicted by Figure 6B, most testeda small proportion showed of sialylated core 2 glycans. As depicted by Figure 6B, structures most testedfound microorganisms microorganisms no significant adhesion with the O-glycan on native showed no significant adhesion with the O-glycan structures found on native mucins from mucins from ovarian cysts. Only a low level of adhesion on these mucins was detected forovarian E. coli cysts. 1917 Onlyand a low level of adhesion these under mucinsmild wasacidic detected for E. coli Nissle 1917 Y. Nissle Y. enterocolitica. Whenon treated conditions to remove sialicand acids enterocolitica. When treated under mild acidic to remove sialic frombyO-glycans, from O-glycans, ovarian cystic mucins gainedconditions the capacity to be used asacids a ligand two of theovarian tested cystic mucins gained the capacity to be used as a ligand by two of the tested microorganisms, the microorganisms, the bacteria Y. enterocolitica and to a lower extent, the yeast S. cerevisiae CNCM bacteriaThese Y. enterocolitica and to lower extent, the yeast S. on cerevisiae CNCM I-3856. These results seem I-3856. results seem to aindicate that depending the type of core harboured by mucin to indicate that on thecan type of core harboured by mucin O-glycans, sialic acid O-glycans, sialicdepending acid residues either constitute a crucial part of the binding siteresidues or maskcan a either constitute a crucial part of the binding site or mask a potential site of adhesion. potential site of adhesion. (C) Figure 5. Influence of sialic acid residues on the adhesion of microorganisms to human mucins. (A) Figure 5. Influence of sialic acid residues on the adhesion of microorganisms to human mucins. Bacteria and yeast preferentially bind to native human colonic mucins. The binding of DAPI-labeled (A) Bacteria and yeast preferentially bind to native human colonic mucins. The binding of DAPI-labeled microorganisms to pig piggastric gastricmucin mucin(dark (dark grey), human purified colonic mucins (light and microorganisms to grey), human purified colonic mucins (light grey)grey) and their their desialylated counterparts (striped) was quantified by slot-blot overlay assays. A strong desialylated counterparts (striped) was quantified by slot-blot overlay assays. A strong decrease of decrease of binding observed for all microorganisms tested after chemical desialylation binding was observedwas for all microorganisms tested after chemical desialylation of mucins, the level of of mucins, the level of adhesion reaching that of PGM. Data shown is a representative experiment ± SD adhesion reaching that of PGM. Data shown is a representative experiment ± SD of three replicates. of three (B,C) MS spectra of permethylated isolated from native and (B,C) MS replicates. spectra of permethylated O-glycans isolated from O-glycans native (B) and desialylated human(B) colonic +. Monosaccharide desialylated human colonic mucins (C), acquired in the positive ion mode [M+Na] + mucins (C), acquired in the positive ion mode [M+Na] . Monosaccharide symbols are used according symbols are used according to theGlycomics Consortium for nomenclature. Functional Glycomics (CFG) nomenclature. Key: to the Consortium for Functional (CFG) Key: fucose (red triangle), GlcNAc fucose (red triangle), GlcNAc (blue square), sialic acid (purple diamond), galactose (yellow circle), (blue square), sialic acid (purple diamond), galactose (yellow circle), GalNAc-ol (yellow square) and GalNAc-ol (yellow sulfate residue (S). square) and sulfate residue (S). (B) Figure 6. Not all types of sialylated mucin O-glycans are ligands for microorganisms. (A) MS Figure 6. Not all types of sialylated mucin O-glycans are ligands for microorganisms. (A) MS spectrum spectrum of permethylated O-glycans from malignant human malignant cyst mucins, acquired of permethylated O-glycans isolated isolated from human ovarianovarian cyst mucins, acquired in the + . Monosaccharide symbols are used according to the Consortium in the positive ion mode [M+Na] + positive ion mode [M+Na] . Monosaccharide symbols are used according to the Consortium for for Functional Glycomics (CFG) nomenclature. fucose triangle), GlcNAc square), Functional Glycomics (CFG) nomenclature. Key:Key: fucose (red (red triangle), GlcNAc (blue(blue square), sialic sialic acid (purple diamond), galactose (yellow circle), GalNAc-ol (yellow square) and sulfate acid (purple diamond), galactose (yellow circle), GalNAc-ol (yellow square) and sulfate residue (S). residue (S). (B) Binding of DAPI-labeled microorganisms to human ovarian cyst (B) Binding of DAPI-labeled microorganisms to human purified nativepurified ovariannative cyst mucins (white, mucins (white, and theircounterparts desialylated counterparts (darkdots) grey,was white dots) wasby quantified black dots) andblack theirdots) desialylated (dark grey, white quantified slot-blot by slot-blot overlay assays. Sialic acid residues from ovarian cyst mucin O-glycans were not overlay assays. Sialic acid residues from ovarian cyst mucin O-glycans were not recognized by recognized by microorganisms. Chemicalof desialylation ovarian cyst mucinsincreased significantly increased microorganisms. Chemical desialylation ovarian cystofmucins significantly the binding of the binding of Y.Data enterocolitica. shown is a representative experiment ± SD of three replicates. Y. enterocolitica. shown is Data a representative experiment ± SD of three replicates. (B) Figure 7. Adhesion of microorganisms along the gastrointestinal tract. (A) Binding of DAPI-labeled Figure 7. Adhesion of microorganisms along the gastrointestinal tract. (A) Binding of DAPI-labeled microorganisms to human purified mucins from the stomach (vertical strips), jejunum (oblique microorganisms to human purified mucins from the stomach (vertical strips), jejunum (oblique strips) strips) and ileum (chequerwise) was quantified by slot-blot overlay assays. Microorganisms bind and ileum (chequerwise) was quantified by slot-blot overlay assays. Microorganisms bind preferentially preferentially to colonic mucins to jejunal shown is a representative experiment +± to colonic mucins and to jejunaland mucins. Datamucins. shown Data is a representative experiment + ± SD of three SD of three replicates. (B) Structural features of human gastric, jejunal and ileal mucin glycosylation. replicates. (B) Structural features of human gastric, jejunal and ileal mucin glycosylation. Schematic Schematic of the repartition ofand sialylated and non-sialylated oligosaccharides based on3 illustrationillustration of the repartition of sialylated non-sialylated oligosaccharides based on core 1, 2 or core 1, 2 or 3 glycans, carried by mucins. glycans, carried by mucins. sialic acid residues. Among these sialylated oligosaccharides, sialyl TF and disialyl TF antigens (NeuAcα2-3Galβ1-3(NeuAcα2-6)GalNAc), based on a core 1 structure, were the most expressed. Around 3% of oligosaccharides were short sialylated core 2 glycans. A major feature of human gastric mucins was the expression of blood group antigens, carried by around 80% of the O-glycans. In the jejunum, glycans were either based on a core 1, core 2 or core 3 structure. Around 45–50% of O-glycans were sialylated, with mainly core 1 and core 3 sialylated oligosaccharides linked at α2-3 to Gal residues or at α2-6 to the first GalNAc. Around 35–40% of oligosaccharides carried blood group antigens. In the ileum, oligosaccharides were predominantly neutral and highly fucosylated, but, in contrast to gastric mucins, they were mainly based on a core 3 structure, with some glycans based on a core 4 structure (GlcNAcβ1-3(GlclNAcβ1-6)GalNAc). Around 55% of the oligosaccharides carried blood group and Lewis determinants and only 30% of glycans were sialylated. Most of the sialic acid residues were α2-6 linked to the first GalNAc and carried by a core 3 structure. 4. Discussion The large intestine is lined by two layers of mucus, the innermost of these remaining devoid of microorganisms under healthy conditions. This means that intestinal cells are usually not directly exposed to probiotic or commensal intestinal flora. For this reason, evaluating the efficacy of probiotics on protecting the human intestinal mucosa requires the use of either biological samples or the disposal of cell culture models covered by mucus, which is not the case for the Caco2 cells very often used in studies aimed at evaluating the adhesion of probiotics to the gastrointestinal tract. Other studies regarding the adhesion properties of potential probiotics within the mucus have either been directly performed on HT29 cell cultures or performed on mucins purified from this material. Our results show that no interpolation can be made regarding the adhesion on colonic mucins from the binding obtained on HT29 purified mucins. HT29 cells are derived from a colic tumour, and it has been shown that glycosylation is strongly affected by carcinogenesis. Indeed, HT29 secreted mucins mostly harbour TF, sialyl TF and disialyl TF antigens based on a core 1 structure, whereas the predominating healthy colonic structures are based on core 3 glycans. Moreover, mucins from mucus secreting HT29 cells are mainly MUC5AC mucins whereas major secreted mucins from the intestine are MUC2 mucins. An alternative to HT29 mucins commonly found in the literature is pig gastric mucin (PGM). This mucin, also called PGM type-II or type-III, is often erroneously taken as MUC2. Here, again, the results presented show that even if this commercially available mucin is very convenient to use, the adhesion levels obtained with this material do not allow conclusions to be drawn on the binding propensity of microorganisms for intestinal mucins. The bacterial overlay presented here is suitable for the performance if a fast screen, allowing the identification of probiotics with high mucus adhesion propensity. Nevertheless, it does not have the ability to proclaim that a given microorganism will be able to bind in vivo to the areas of the gastrointestinal tract from which purified mucins have been extracted. Indeed, the main criteria for bacteria to be able to reside in a given area of the intestine, is that they are able to reach the mucus of this organ as a living organism. To exert health benefits, the minimum concentration of live probiotic bacteria at point of delivery should be above 107 cfu mL−1 . The viability of probiotics must therefore not be altered by the passage through the adverse acidic environments of the stomach and the entry into the duodenum that not only involves a change in pH, but also exposes microorganisms to bile salts which act as detergents, causing cell damage and cytotoxicity [51,52]. Actually, less than 10% of the strains tested can grow in the gastrointestinal tract  and gut microorganisms have evolved highly conserved mechanisms for tolerance to gastrointestinal stresses [54,55]. In some cases, the adhesive properties of bacteria to mucins are positively affected by the passage through the stomach and duodenum and their adhesion propensity may be increased compared to the same types of bacteria that are not submitted to the harsh pH treatments . The dramatic loss of microorganism adhesion observed when intestinal mucins were chemically desialylated (Figure 5A) emphasizes the role played by sialic acids in this process. The involvement of sialic acid in the binding of gut microorganisms to mucins is well documented. For instance, the recently described adhesin domain, CBM40, present in the human gut symbionte Ruminococcus gnavus is specific towards sialoglycans with a millimolar binding affinity towards α2,3- or α2,6-sialyllactose. It also mediates adhesion to mucins . In another study , the crucial role played by sialic acid residues bound to mucin O-glycans on the adhesion observed for two lactobacilli strains and one bifidobacteria strain was assessed. Lactobacillus exhibits numerous mechanisms for adhesion to mucus, among which mucus-binding proteins (MUBs) have been well characterized. The MUB proteins contain repeated functional domains (Mub repeats), which share homology with the Pfam-MucBP (mucin-binding protein) domains (PF06458). Mub repeats have been shown to adhere to pig gastric mucins and hen intestinal mucus . Adhesion assays of MUB from Lactobacillus reuteri on mammalian tissue sections and a mucus-secreting intestinal cell line demonstrated the binding of MUB to sialylated mucin glycans . The importance of sialic acid in mucin binding has also been assessed for bacteroidetes, whose adhesin NanU has been demonstrated to bind to Neu5Ac with high affinity in Bacteroides fragilis . The importance of sialic acids in adhesion to mucins also applies to pathogenic bacteria. The best-documented example is Helicobacter pylori which shows the influence of blood group motives containing O-glycans at the surface of the gastric mucosa, recognized by the adhesin BabA. Upon infection by H. pylori, the rate of sialylated mucins, scarce in a healthy stomach, increases significantly [62–64]. Glycans harboured on these mucins present the motif, SLex, the specific ligand for sialic acid-binding adhesin (SabA) . Pathogens like Streptococcus gordonii, Streptococcus sanguinis and Streptococcus mitis present the capacity to adhere to sialylated mucins via serine rich region proteins (SRR proteins)  or Hsa adhesin . Our results show that the nature of the sialylated core of O-glycans potentially enables sialic acid residues to modulate the adhesion of microorganisms, either positively or negatively. This should be further studied on a broader range of bacteria and on purified O-glycan structures. In this study, we demonstrated that sialylated core 3 glycans are key factors in the binding of intestinal commensals, probiotics and pathogens to mucins. However, we also showed that microorganisms have the ability to bind, to a lesser extent, to gastric mucins, which are mainly composed of non-sialylated core 2 O-glycans. These results may be explained by the high expression of blood group antigens on gastric mucins. Indeed, several studies have reported the capacity of bacterial adhesins to recognize blood group determinants. For example, FedF, the adhesion on F18 fimbriae from shiga-secreting E. coli, binds to ABH type 1 and sulphated H type 2 blood group antigens . Family 1 of solute-binding proteins from Bifidobacterium, which is part of the ABC transporters, has been identified as able to bind mucin O-glycans, human milk oligosaccharides and blood group antigens . Blood group antigens are also expressed by mucins from the jejunum and ileum and may be recognized by microorganisms, thus at least partly explaining their binding. In conclusion, we have developed a rapid and sensitive assay to evaluate the binding of microorganisms to mucins, with smaller amounts of material than in conventional mucin binding experiments. We have demonstrated its efficiency to study biologically relevant interactions between mucin glycotopes and bacteria. The use of human mucins rather than mucins derived from cell culture or from commercial sources is crucial to identify the exact oligosaccharide structures involved in bacteria–host crosstalk. This will help to clarify the molecular mechanisms of O-glycan mediated interactions in infectious diseases as well asselecting probiotics with a high capacity for mucus adhesion and colonization. Author Contributions: B.R.D., Z.D., J.M.L., M.M.B., R.L. and C.R.M. contributed to the conception and design of the experiments. B.R.D., Z.D., R.L. and C.R.M. performed the experiments. B.R.D., Z.D., J.M.L., M.M.B., R.L. and C.R.M. analyzed and interpreted the data. B.R.D., J.M.L., M.M.B., R.L. and C.R.M. prepared the manuscript draft. 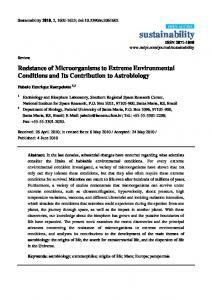 Acknowledgments: We are indebted to the Research Federation FRABio (Univ. Lille, CNRS, FR 3688, FRABio, Biochimie Structurale et Fonctionnelle des Assemblages Biomoléculaires) for providing the scientific and technical environment conducive to achieving this work. We thank Eric Oswald and Jean-Philippe Nougayrede for kindly providing us E. coli Nissle 1917 strain. This work was supported by Association Vaincre la Mucoviscidose (Grant N◦ RF20150501357) and Association Grégory Lemarchal (Grant N◦ RIF20160501690). Conflicts of Interest: The authors declare no conflict of interest. Bengoa, A.A.; Zavala, L.; Carasi, P.; Trejo, S.A.; Bronsoms, S.; Serradell, M.L.Á. ; Garrote, G.L. ; Abraham, A.G. Simulated gastrointestinal conditions increase adhesion ability of Lactobacillus paracasei strains isolated from kefir to Caco-2 cells and mucin. Food Res. Int. 2018, 103, 462–467. [CrossRef] [PubMed] Owen, C.D. ; Tailford, L.E. ; Monaco, S.; Šuligoj, T.; Vaux, L.; Lallement, R.; Khedri, Z.; Yu, H.; Lecointe, K.; Walshaw, J.; et al. Unravelling the specificity and mechanism of sialic acid recognition by the gut symbiont Ruminococcus gnavus. Nat. Commun. 2017, 8, 2196. [CrossRef] [PubMed] Huang, I.-N.; Okawara, T.; Watanabe, M.; Kawai, Y.; Kitazawa, H.; Ohnuma, S.; Shibata, C.; Horii, A.; Kimura, K.; Taketomo, N.; et al. New screening methods for probiotics with adhesion properties to sialic acid and sulphate residues in human colonic mucin using the Biacore assay. J. Appl. Microbiol. 2013, 114, 854–860. [CrossRef] [PubMed] Roos, S.; Jonsson, H. A high-molecular-mass cell-surface protein from Lactobacillus reuteri 1063 adheres to mucus components. Microbiology 2002, 148, 433–442. [CrossRef] [PubMed] Etzold, S.; Kober, O.I. ; Mackenzie, D.A. ; Tailford, L.E. ; Gunning, A.P. ; Walshaw, J.; Hemmings, A.M.; Juge, N. Structural basis for adaptation of lactobacilli to gastrointestinal mucus. Environ. Microbiol. 2014, 16, 888–903. [CrossRef] [PubMed] Phansopa, C.; Roy, S.; Rafferty, J.B.; Douglas, C.W.I. ; Pandhal, J.; Wright, P.C. ; Kelly, D.J. ; Stafford, G.P. Structural and functional characterization of NanU, a novel high-affinity sialic acid-inducible binding protein of oral and gut-dwelling Bacteroidetes species. Biochem. J. 2014, 458, 499–511. [CrossRef] [PubMed] Joncquel Chevalier Curt, M.; Lecointe, K.; Mihalache, A.; Rossez, Y.; Gosset, P.; Léonard, R.; Robbe-Masselot, C. Alteration or adaptation, the two roads for human gastric mucin glycosylation infected by Helicobacter pylori. Glycobiology 2015, 25, 617–631. [CrossRef] [PubMed] Marcos, N.T. ; Magalhães, A.; Ferreira, B.; Oliveira, M.J.; Carvalho, A.S.; Mendes, N.; Gilmartin, T.; Head, S.R. ; Figueiredo, C.; David, L.; et al. Helicobacter pylori induces beta3GnT5 in human gastric cell lines, modulating expression of the SabA ligand sialyl-Lewis x. J. Clin. Investig. 2008, 118, 2325–2336. [CrossRef] [PubMed] Magalhães, A.; Marcos-Pinto, R.; Nairn, A.V. ; dela Rosa, M.; Ferreira, R.M. ; Junqueira-Neto, S.; Freitas, D.; Gomes, J.; Oliveira, P.; Santos, M.R. ; et al. Helicobacter pylori chronic infection and mucosal inflammation switches the human gastric glycosylation pathways. Biochim. Biophys. Acta (BBA)-Mol. Basis Dis. 2015, 1852, 1928–1939. [CrossRef] [PubMed] Mahdavi, J.; Sondén, B.; Hurtig, M.; Olfat, F.O. ; Forsberg, L.; Roche, N.; Angstrom, J.; Larsson, T.; Teneberg, S.; Karlsson, K.-A. ; et al. Helicobacter pylori SabA adhesin in persistent infection and chronic inflammation. Science 2002, 297, 573–578. [CrossRef] [PubMed] Bensing, B.A. ; Khedri, Z.; Deng, L.; Yu, H.; Prakobphol, A.; Fisher, S.J. ; Chen, X.; Iverson, T.M. ; Varki, A.; Sullam, P.M. Novel aspects of sialoglycan recognition by the Siglec-like domains of streptococcal SRR glycoproteins. Glycobiology 2016, 26, 1222–1234. [CrossRef] [PubMed] Urano-Tashiro, Y.; Takahashi, Y.; Oguchi, R.; Konishi, K. Correction: Two Arginine Residues of Streptococcus gordonii Sialic Acid-Binding Adhesin Hsa Are Essential for Interaction to Host Cell Receptors. PLoS ONE 2016, 11, e0161900. 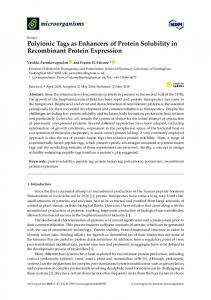 [CrossRef] [PubMed] Moonens, K.; Bouckaert, J.; Coddens, A.; Tran, T.; Panjikar, S.; De Kerpel, M.; Cox, E.; Remaut, H.; De Greve, H. Structural insight in histo-blood group binding by the F18 fimbrial adhesin FedF. Mol. Microbiol. 2012, 86, 82–95. 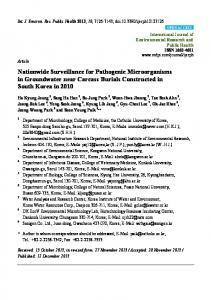 [CrossRef] [PubMed] Garrido, D.; Kim, J.H. ; German, J.B.; Raybould, H.E. ; Mills, D.A. Oligosaccharide binding proteins from Bifidobacterium longum subsp. infantis reveal a preference for host glycans. PLoS ONE 2011, 6, e17315. [CrossRef] © 2018 by the authors. Licensee MDPI, Basel, Switzerland. 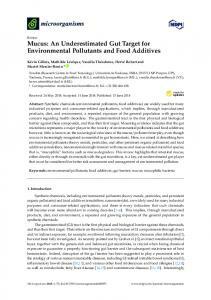 This article is an open access article distributed under the terms and conditions of the Creative Commons Attribution (CC BY) license (http://creativecommons.org/licenses/by/4.0/).